I believe in comfort food. I believe that it can cure all ills, warm the heart and stomach, and woo lovers. I believe in warm soups and stews in the winter (even though God knows it’s ain’t winter in Georgia yet…schizophrenic weather). And most of all, I believe in my mother’s split pea and ham soup. Crap. Ham in soup. That’s not very vegan. Or vegan at all. 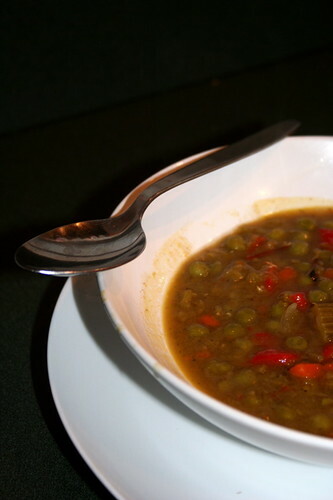 So I made Veganomicon’s split pea soup with roasted red peppers. The red pepper idea is genius. Unfortunately, red peppers, although tasty, don’t add the same effect as ham to a split pea soup. Don’t get me wrong, the soup is good. It’s just not comfort food good. So I’m going to steal my mother’s recipe this week and try this again at a later date. I can almost guarantee that the roasted red peppers will show up again, but I just need more flavor than the recipe gave me. 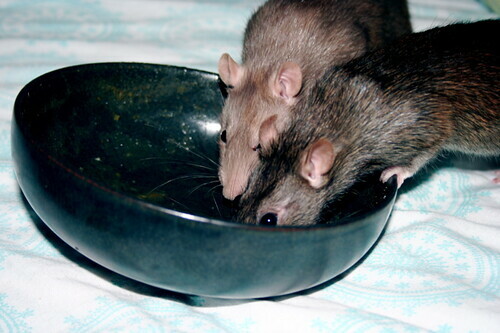 The rats were a fan. They might not be the best taste testers ever, but their positive attitude towards everything I make is quite humoring. 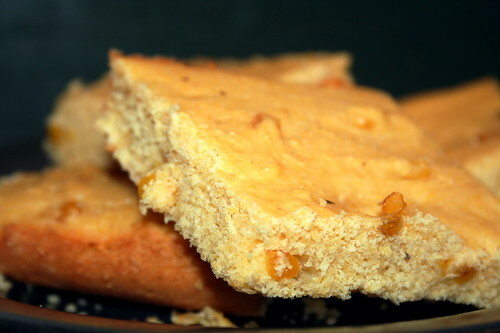 The cornbread, however, worked really well with the soup. After reading Heidi’s yeast raised cornbread muffin recipe, I really wish I would have made that recipe instead, time consuming as it is, but Isa and Terry’s recipe from Veganomicon is quite tasty in a more traditional way. In a skillet over medium heat, saute the corn kernels in oil for approx. 7 minutes, or until the corn is slightly browned. Combine the soy milk and vinegar in a measuring cup and set aside to curdle for 10 minutes. In a large mixing bowl, sift together the cornmeal, flour, sugar, baking powder, and salt. Create a well in the center and add the soy milk mixture and oil. Mix together with a spoon until just combined. Fold in the corn kernels. Pour the batter into a 9×13 baking pan. Bake for appox. 30 minutes, until a knife inserted in the middle comes out clean. sorry that the split-pea-soup-sans-ham wasn’t as comforting as the original dish – hopefully once you try it again, it will satisfying your palate! 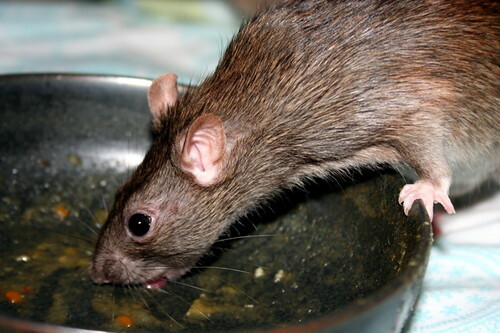 looks like the rats certainly enjoyed it though :0) and the cornbread makes a lovely soup accompaniment! 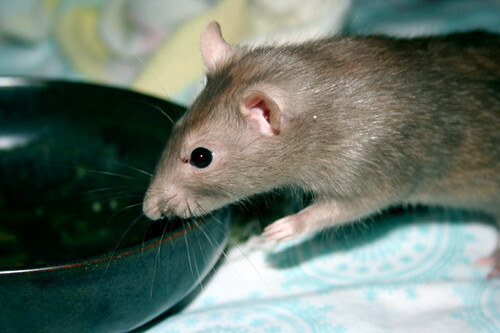 rats and soup…my two favoritest things!! !